Fresno State alumni, clear your calendars. There is a full week of homecoming events lined up — including a free, public pep rally featuring a concert by Echosmith — to welcome alumni back to campus and introduce community members to all the University has to offer. Homecoming week is Monday through Saturday, Oct. 22 through 27. The Bulldogs football team will host Hawaii at 7:30 p.m. Saturday at Bulldog Stadium followed by a fireworks show, and a raucous Red Wave will help in what could be a key matchup in the race for the Mountain West championship. While the football game is often the focal point of homecoming week, the University has developed a schedule of events to expand the homecoming experience and deliver the largest pep rally in recent school history. Scott Michaelson, a 1988 alumnus who graduated with a finance degree, believes expanding homecoming is a way to re-engage alumni and lift the University to a new level. Other featured guests will include DJ Kay Rich, fire dancers, the Bulldog Marching Band, the Senior Dog Squad and Fresno State athletic teams and coaches. 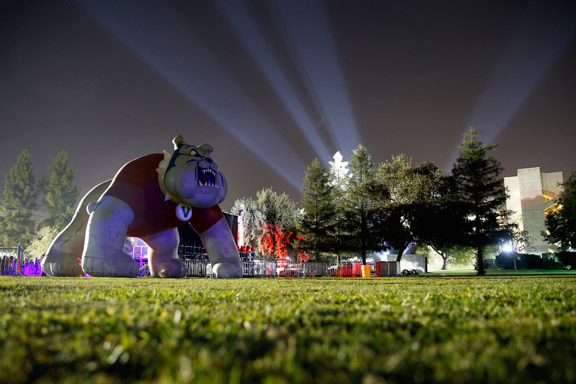 Food trucks, a rock wall, games and inflatables will be on site and attendees can take photos with Bulldog 1, a 150-foot long red, Fresno State blimp. “I wouldn’t miss the pep rally for anything. I hope it’s the beginning of something new and creates a full homecoming weekend,” Michaelson said. Michaelson’s longtime friend and former high school coach, Tony Jackson, who played wide receiver at Fresno State in 1976-77, is looking forward to getting his former teammates back together for homecoming. Last season, about 80 players and coaches from that 1977 team dubbed the “Stadium Builders” celebrated their 40th reunion at Bulldog Stadium. This year, they’ll attend the Fresno State Alumni Association homecoming tailgate, open to all alumni, at 3:30 p.m. Saturday, Oct. 27, to reunite again. Just before the rally gets started, educator and academic researcher Safiya Umoja Noble and 14 other Fresno State alumni will be celebrated for their distinguished accomplishments at the Fresno State Alumni Association’s Top Dog Alumni Awards Gala at 5 p.m. on Friday, Oct. 26, at the Save Mart Center. Fresno State students and alumni are also embarking on a new #BlessTheBall tradition this year, where they have been relaying the homecoming game ball around campus and the community and touching it for good luck. The idea was started by Fresno State students who wanted to send the football team good vibes as they prepare to take the field. The game ball will be available at homecoming week events for students and alumni to take photos with and share on social media. 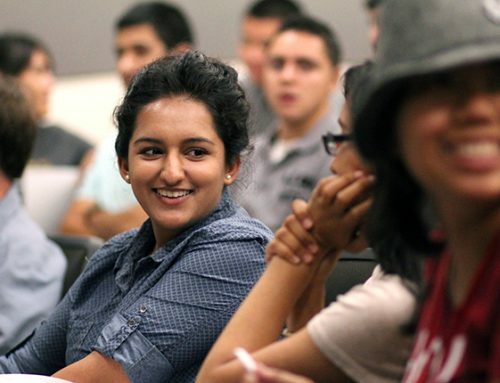 For a full schedule of homecoming events and activities, including student events, visit http://bit.ly/FSHomecoming2018. See campus map at www.fresnostate.edu/map.